I have heard about this my entire life but never really looked into it. Everyone around will tell you about the day the Atomic Bomb fell in the Mars Bluff Area in our county. People have told of the huge hole that it left on that property. All I know is that we are blessed that nothing more happened on that day March 11, 1958. I would have been 4 years old at the time. 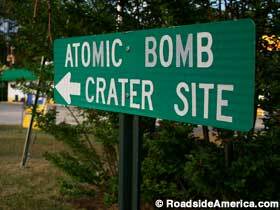 Recently the Mars Bluff Atomic Bomb Incident was the focus of a small segment for the Travel Channel television show, Mysteries at the Museum. 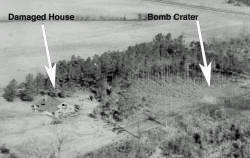 The segment tells the story of how an atomic bomb was accidentally dropped on Florence county during the late 1950′s. 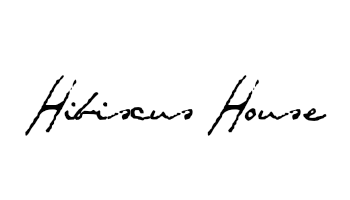 Click the link for the Historic News Footage of this Event. 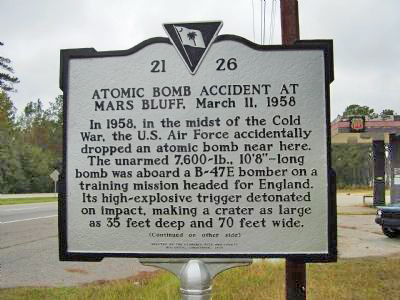 All About Florence, S. C.
Mars Bluff--The only place in the USA bombed with a Nuclear Weapon! Well that is our Retro Post and trip down memory lane. I hope you found it interesting and entertaining. Wow!! I have never heard this story before, will read more about it! Thanks for sharing with us! It is probably amazing the things that we don't know that have happened in different areas of our country. I thought this would be interesting to know if you didn't already. Thanks for the comments!